Heat presser cooker and add ghee to it. Once the ghee is heated add cashew and Roast till golden brown. Remove and keep aside. In the same ghee add cumin and mustard seeds. Add whole black pepper and green chillies. Saute for a minute and add washed moong dal and rice. Add salt and haldi. Mix well and fry for 2 minutes and add 7 cups of water. Presser cook till 3 whistle. Remove and garnish with roasted cashew. Mean while make chutney. 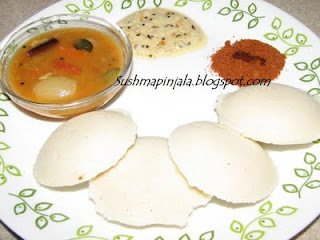 I had some left over sambar so using that with the pongal. 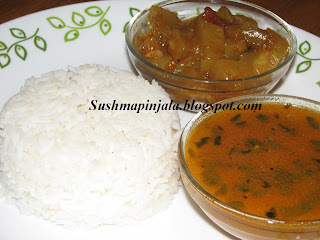 U can find the sambar recipe here and coconut chutney recipe here. 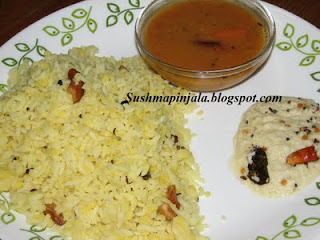 Serve hot pongal with coconut chutney and sambar. Look here my fellow marathoners are cooking for this event. 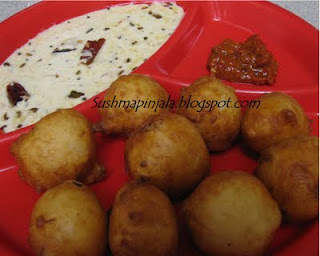 Make Idlies as u usually make. For making sambar boil presser cook toor dal. Mean while cut all the veggies to bite size pieces and fry them in 1sp oil. Once the dal is cooked mash it and add 3 cups water. Now add all the veggies, tamrind pulp, jaggery, salt, haldi, chilli powder, sambar powder and boil. Onece the sambar becomes little thick switch off flame. Now make a tempering heating 2sps oil in small pan. Add mastard, cumin, red chilli, curry leaves, udad dal . Add this to sambar and keep aside. To make chutney, mix dhaliya, coconut powder, green chillies 3, salt and little water to make a smooth paste. Make tempering as above and mix it with the chutney. In a large pan Heat oil and add tempering( mustard, cumin, red chilli, fenugreek seeds, curry leaves, chana dal) Let them change its color to light brown, add chopped onions and slit green chillies. 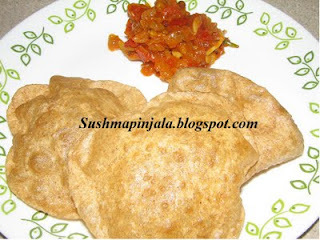 Try till golden brown and add cubed sorakaya pieces/ bottle gourd. Saute for few minutes and add chilli powder, haldi and salt. Mix well and Tamrind pulp, jaggery and 1 cup water. 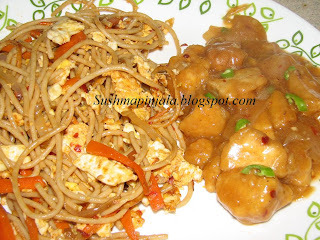 Cook on medium flame till sorakaya pieces become soft. Garnish with chopped cilantro.